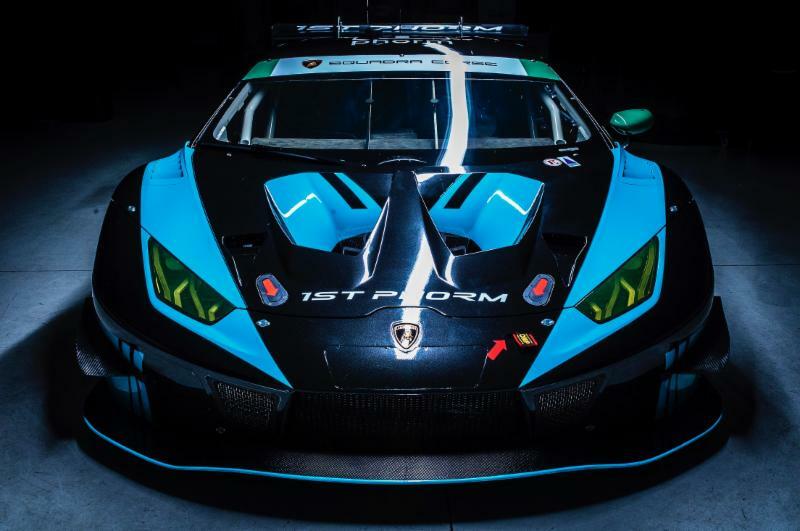 Sporting a new striking black and blue livery, the 1st Phorm Lamborghini Huracán GT3 EVO performed well in its first shakedown of the season, improving on lap times throughout the event. Reigning driver champion Bryan Sellers worked closely with his co-drivers, reviewing in-car footage and session telemetry to find areas to improve. While new to the IMSA WeatherTech SportsCar Championship, Ryan Hardwick took well to his new team, and soon enough found his pace in his new series. Between on track sessions and team debriefs, Sellers, Hardwick, Lewis and Caldarelli practiced driver changes, a crucial part to efficient pit stops. The new driver combination methodically went through the shakedown check list, paying attention to every detail of the new dynamic. 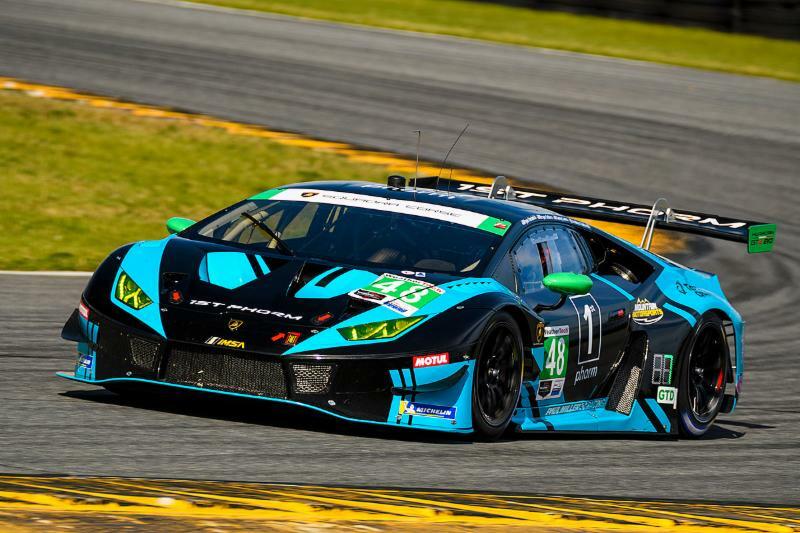 The 2019 GTD class will again offer fierce competition, with twenty-three cars and seven manufacturers competing in the Rolex 24 At Daytona. The entire GTD class also switched to a new tire manufacturer, running for the first time as a full field on the new Michelin tires. The longest event on the 2019 IMSA WeatherTech SportsCar Calendar, the Rolex 24 at Daytona will feature 47 sports cars competing in four classes. Traffic, weather conditions, pit stop strategy, and competition on track will all play into the final results, with each car fighting in class for the prestigious podium. Live coverage of the 57th Rolex 24 at Daytona behind Saturday, January 26 at 2:00PM Eastern on NBC Sports Network. IMSA Radio will be back for the 2019 season, again offering live coverage all week long. For full schedule and event information, visit imsa.com. The Roar is always difficult because it never goes quite the way you want it to go. However in the end, it’s pretty irrelevant because when you come back for the race, the track is so different. We had a new car and learned a lot. We have some things we need to address for the race in order to have the right things in place and the necessary longevity in the car. We did what we needed to do. We went through the system checks, we got all the drivers in the car, and we learned some stuff about the set up. We’ll move on to the next and hopefully come back with a good car after everything we learned. It was great for me to see this team work together. This is my first time around all of these guys, and they work really great together. I was impressed at how in unison the entire team was. For me personally, I ended up where I thought I would be. It’s not where I wanted to be, but it’s what I expected. I didn’t quite reach my personal pace goal, but I have a clear path of how to get there. I’m looking forward to the race. My teammates were great. I received a lot helpful instruction from Corey Lewis, Bryan Sellers, and Andrea Caldarelli. I’ve surrounded myself with great people, and I’m confident that with the drivers we have in the car, and the team we have behind us that we should be competitive for the race. We may not have shown the pace this weekend, but I think we’ll be consistent over the 24 hours of the race. The last two days were very productive for us at the Roar Before the 24. We started out with a new EVO, and started from square one. We did the necessary systems checks, and everything seemed to be very straightforward. We’re working on the set up and making sure all of us drivers are comfortable in the car. We checked off a lot of boxes over the course of these two days. For myself, I’m looking forward to the race in two weeks’ time. We have our best foot forward going into the race weekend. We’re back with the new car and stared from square one. We looked at the initial data to see where we compared with the other cars, and we learned how to set up the car together, with all four of us drivers. Bryan Sellers and I have raced together before, but this is my first time with Corey Lewis and Ryan Hardwick. We had to all get the necessary seat time and get up to pace. 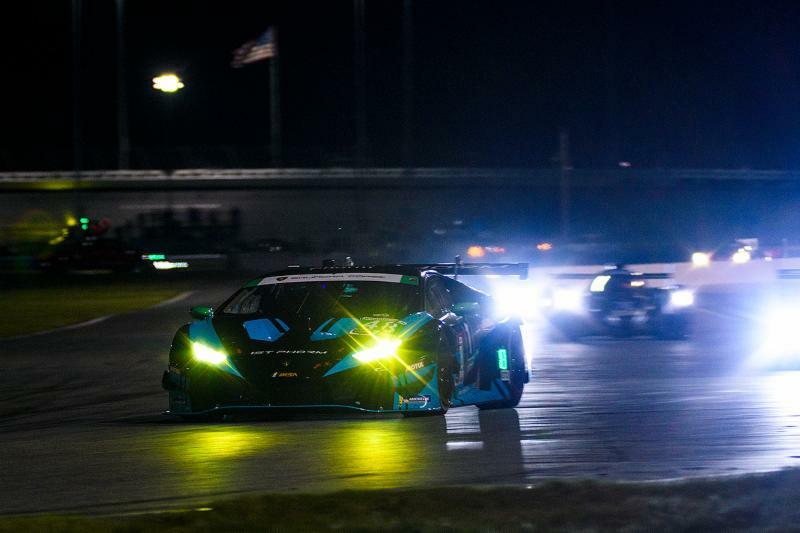 Our focus was not on lap time, but on race pace and our overall race mode for the Rolex 24. We saw that the other cars were quick compared to us, but I suspect everything will be different again in two weeks. We were here to get to know each other, the new car, and the new tires, which is the biggest difference from last year. We have a lot of data to analyze, and I’m sure we’ll come back here in two weeks with a good car to try and win the race.